I’ve saved the best for last. Here is the ultimate in indulgence, who doesn’t want to have pumpkin pie for breakfast? While it tastes decadent it’s actually super healthy and low calorie to boot. 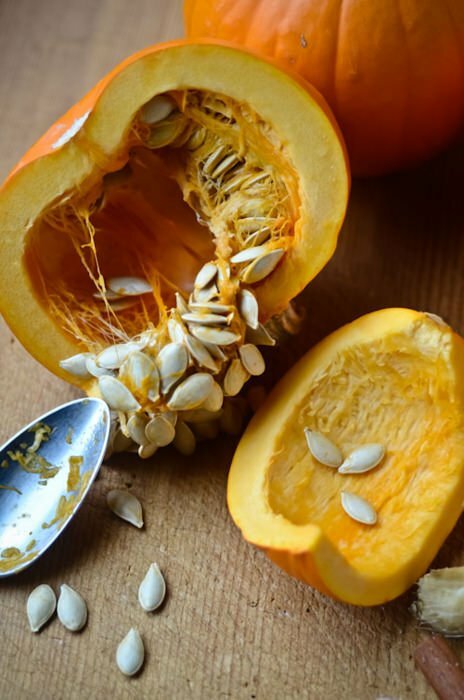 Pumpkins are full of beta carotene, an antioxidant that is thought to prevent certain types of cancer. It’s also a great source of fiber and tastes great to boot! 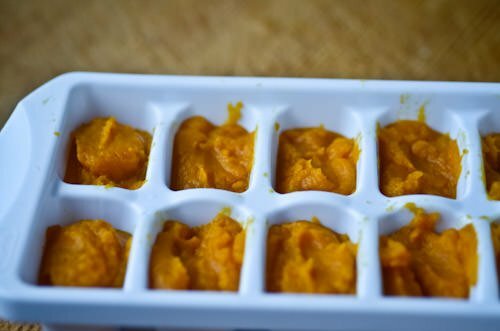 I like to take a can of pumpkin puree and freeze it in ice cube trays so that I can always whip one of these up at a moments notice. If you don’t want to use frozen pumpkin add a handful of ice to your mixture. If you don’t have pumpkin pie spice use 1/4 teaspoon of cinnamon and a grating of nutmeg. 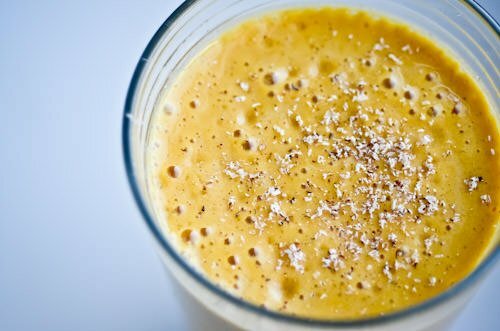 Combine all the ingredients in a blender and blend until smooth. Top with a grating of fresh nutmeg if desired.